OpsCenter is extensively configurable by a non-technical person to reflect your organization's terminology, structure and processes. The system includes a series of Administration Screens that allow an authorized users to configure the system. Each Organization is different. It has unique terminology, processes and organization. OpsCenter has been designed to be tailored to match the unique aspects of each organization. This allows the software to change to match the organization, not the other way around. OpsCenter's configurability allows experts within your organization to configure the system to make it easier for the less experienced users. The terminology used in OpsCenter is easily configured by a non-technical person. It does not matter to OpsCenter if you chose to call the actions taking place to response to an Incident a 'Mission', an 'Assigned Action', a 'Tasking' or something else. 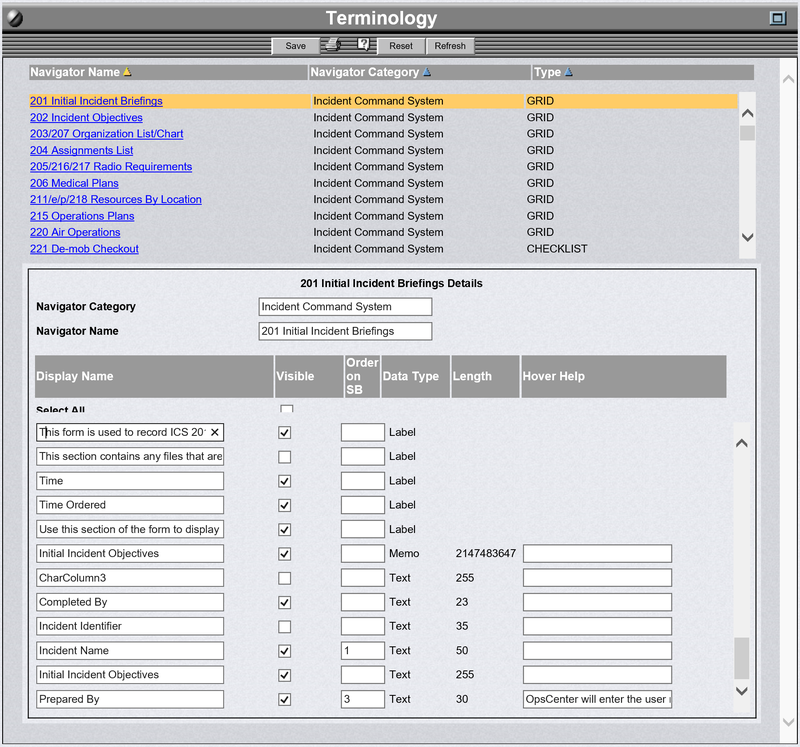 A non-technical person can decide what terminology to use throughout the system. An example of the OpsCenter Terminology screen is show above. The fields in OpsCenter can be turned off and on by a non-technical person. This allows OpsCenter to capture all the information, and only the information, that is important to your organization. For example, if your organization does not use Operational Periods as a part of your response process then those fields would be turned off to avoid confusion for your users. In addition to modifying existing roles and creating new ones, you can decide what each role has access to in the system and the type of access. 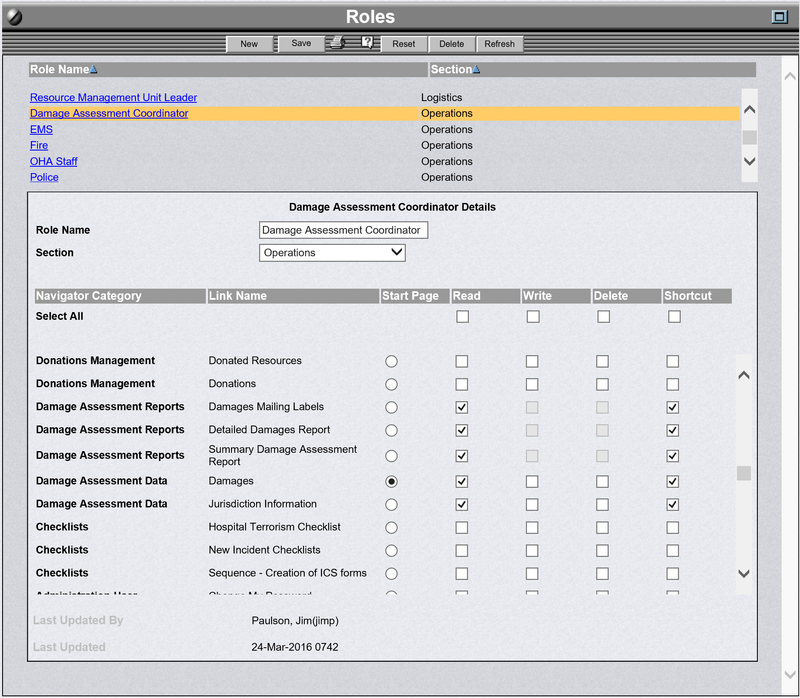 The OpsCenter Roles Administration Screen is show above. Since all text in OpsCenter, including buttons, can be edited externally, localization requires a minimum of effort. Colors and graphics can be readily changed to match your logo or other appearance requirements.